Generally, a worshiping place like a church is not seen as a brand. We think that only businesses need branding. But that is not the case as churches also compete with many other churches to attract people. They also want to build a certain perception among the local audience. This is where a logo can help in church branding by building a brand image of churches. Branding is all about creating a perception of the business among its target audience. It takes years for people to form an opinion about a company’s business. This also applies to the church. A church makes a spiritual calling. But it is difficult to find out what exactly this calling looks like if you want to visualize. So, visual elements of a church can help in determining perception. What people think of a church becomes its face and mission. When they become familiar with a church’s brand, they can quickly recognize its spiritual calling and purpose. In a certain way, most churches are a brand. But people have no clear idea and understanding of what the church stands for besides being a place of worship. The first thing to consider here is that a church is not a product. One of the purposes of branding is to help companies stand out from the crowds of hundreds of ventures in the same market. So, a company can identify with a particular audience coming from specific demography. The same thought applies to a church. Churches also need to be appealing alternatives to dozens of other churches in a locality. So, there is some competition there as well, though a church is a worshiping place. However, branding a church is little different. It is not about snatching away the worshipers from the other churches. A goal of church branding is to convey a message that your church is positioned better than other ministries. This is where challenges come for marketers in branding a church. We can say that church branding is similar to that of nonprofits organizations. A purpose drives them. Their goal is not to project some image. This means that when an audience supports a nonprofit organization or a church ministry, they want to be part of the story concerning the people. We can notice a significant difference between the branding of products and nonprofits. While in the product branding, people align the brand with themselves, in nonprofits and church branding, people tend to associate their heart and mind with the brand. When you brand a church, it is about making the people feel that the church is doing what people do or want to do. 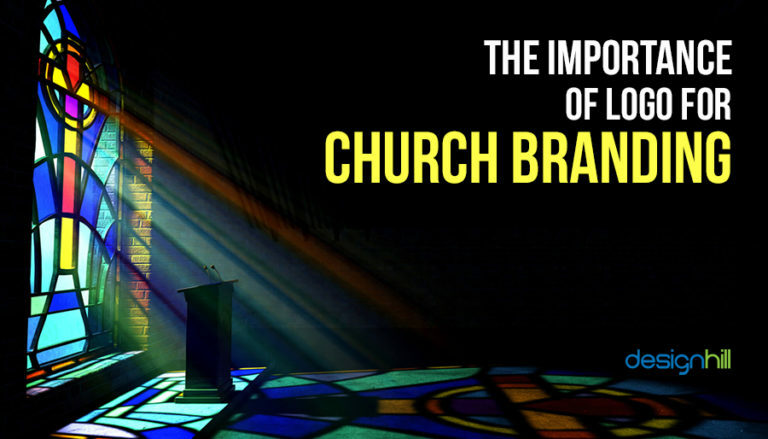 This is where impressive visuals such as church logos can play a crucial role. The logos can build a good perception about a church. So, here, unlike a product, here branding is not about image making but about people’s perception for a church. Looking for a church logo design? Generally, the importance of branding is associated with businesses, organizations, and corporations. Worshipping places such as churches are usually not covered by experts and marketers under the concept of branding. But the fact is that like any other business and institution; churches also need to reach out to people. Therefore, branding can help them create a perception. A church, like any other business or organization, needs to build a perception among the people. The place of worship should enhance its appeal and reach in as many people as it possibly can, covering the worshipers from all sections of the population. Branding can help a church in this endeavor. Graphic design services such as logo creation are dedicated to turning a business or nonprofits like a church into a brand. In modern times when people are moving closer to accumulating wealth and worldly things, a proper branding can make the worshiping place relevant to the contemporary generation. 03. How Can Logos Help In Branding? In businesses, a logo is considered as the face of a company. This is true also for private and government institutions and even to non-profit organizations. This is also true for worshipping places like churches. People recognize a church by its logo. They see the logo everywhere on the literature published and distributed by the church in their vicinity. In this way, a church logo design becomes a visual identity of a church. In other words, the logo conveys the personality of a church. But if a church logo is carefully designed, it can convey to the people the type of services it delivers. That is important especially if a church is new. Even for older churches, a logo can help them rebrand their image and services for a modern congregation. A logo can communicate that your church is offering updated services to its members. A purpose of branding is to tell people who you are. It is also a way to say why your company and its business or an institution is relevant to the audience. So, ultimately branding is about creating a perception. It is all about determining how people perceive you. Now, perception is something that people always have about almost everything even without a logo. Also if a church does not have a logo, the worshipers will still have a perception about it. They can always think about what a church does and what other things it does not do for a community. But when they think about a church on their own, it may be a positive or negative perception. If they have some negative things to say, that may be a problem. This is where a logo can help. A carefully designed logo can help to build a positive identity of a church. Great thought of church logo design can help build your authenticity of the worshiping place. The logo will present a real image of the church, which establishes its identity and authority. While most beliefs are universal, each church has its specific vision. A church logo embarrasses that vision in its own creative and personal way. When people see the logo, they get some many signals. They get a message of strength, firm belief in life values, helping the needy people, and so on. A logo can establish the authority of church regarding these values. So, they will visit the place more often. If like a business a church has not changed with the time, the chances are that people will start ignoring it. It has happened with many churches. They resisted any changes occurring in the societies. It resulted in people ignoring the services of those churches. Often, such churches shrink fast and are consumed by larger churches and make them their satellite worshiping places. So, a church should be relevant to the people. However, it does not mean that a church should compromise on its set of beliefs. What it means is that it should be aware of the community’s needs. The church must be creating its own brand identity so that people are drawn to it in many ways. This is where a church logo can help. The logo can project a vision of the church. It can signal a new message for the potential worshipers. Once your church has decided to create a logo that turns the worshiping place into a brand, it is time to figure out the different aspects of the design. You should be well prepared to give a design brief that summarizes your design needs for a professional graphic designer you hire. You and your designer must be clear about the target audience. You must precisely point out the core of your congregation. So, find out who all the target people are. Before you create a logo, you should also be clear about the message your logo will convey. A logo sends a message to the audience, which is one of the purposes. For a church, the message could be to serve the poor people, help them with services designed especially for the modern generation, and so on. There may be many churches around you already. So, why should people visit your church? You should answer that question precisely. Write down your answer so that your logo can convey that with colors, typefaces and such elements. The logo plays a crucial role in establishing a close connection between a church and its audience. But only a memorable logo can help cement this relationship. People should be able to keep the logo in their memory so that whenever they see it, they can quickly recall the church. Therefore, make it sure that there are no complexities of shape, colors, typefaces, symbols, and such elements in the design. Also, when it comes to knowing the kind of church you run, be entirely clear if it is a traditional or modern church. Tell the logo designer if your church is formal or informal, large or small. Such details matter in creating any design including a logo. These details are also your church’s identity, which you can express as your church logo. The designer will make efforts to condense all those details and identity into the logo to make it a recognizable visual. But besides a logo, you need to brand your church also with the help of other vital promotional visuals. While a unique logo will be the face of your church, you need some other materials also to promote the place of worship. You should have a website where you can put your church services for the people. How about giving a visiting card to the people? The visiting card may not look like a typical business card design, but it can have some contact details. People can phone you or can visit your website if they have contact details handy with them in the card. One of the best ways to draw the attention of people to your church is to take it to where modern people are. They are mostly on social channels such as Facebook and Twitter. Millions of people use social media to connect with the world and to get updated information. A media-driven church can also deliver sermons, videos, and articles regarding its services on a daily basis. So, create a beautiful social media page of your church. Then, post about the new developments and activities that you plan in the coming days and request people join. This is also a cost-effective way to reach many thousands of people in an instant. An aesthetically appealing work of art is always appreciated as it conveys a message in its sophisticated way. If your church logo is an attractive design, it helps in promoting the services in many ways. Remember that a church also has the responsibility to create aesthetically appealing and beautiful things. This is done for the glory of God. So, make sure that the church logo is an excellent piece of work of art and it appeals to the senses of people who understand aesthetics. It should not be some mandatory mark for the sake of it. A church wants to take its services to many more people. Its logo, therefore, will be present everywhere in the form of its identity. It may be placed on tiny as well as big surfaces. So, it may be put on a billboard in big size or on some smaller promotional product. The logo must appear equally impressive in all small and big sizes. In other words, if it is scaled up or reduced to small sizes, it should not lose its details, or it should not look disproportionate. These are some of the crucial points to show the importance of a logo in church branding. Pay utmost attention to each aspects of the logo so that it promotes your church. If you need plenty of design ideas for your logo work, Designhill is the best place as this leading marketplace has hundreds of talented designers. They will work on your logo project and submit dozens of unique logo designs to choose from. Church branding is essential if a church has to reach many more people in its vicinity and it also is crucial to stand out from other worshiping places. A logo can play an important role in branding a church to take its services to people in an impressive way. But the logo must be a unique, simple, aesthetic, and memorable design.